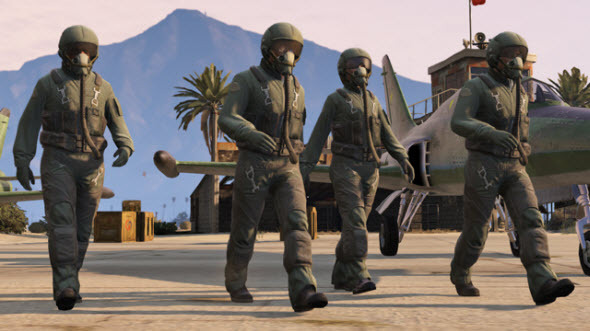 Yesterday, Rockstar announced the new game’s update, entitled The San Andreas Flight School, and presented the fresh GTA Online video, in which the pack’s content was shown. And today, the developers of this exciting action-adventure have told in detail, which nice items will be included in the new GTA Online update. 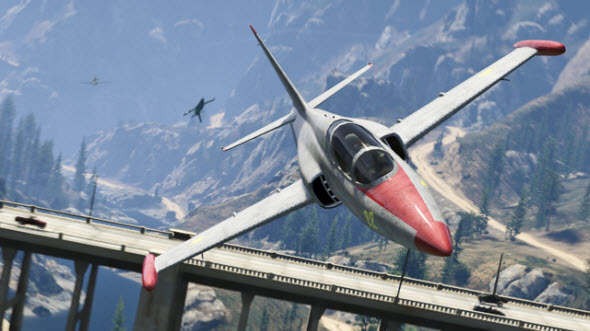 Thus, thanks to the fresh GTA Online update, you, as a real test pilot, will be offered the training jet, called Western Besra. Using exactly this flight vehicle, you will be able to test your forces in 10 new missions, which will let you show all your talents. Also, you will be able to try the chic Swift helicopter, the exciting military jet - Buckingham, in which up to 16 members of your squad can be placed, - and the new car - Invetero Coquette Classic - in case if you decide to show your mastership on the roads and not in the air. And which Flight School goes without main and reserve parachutes? None. Thanks to this pack, you will be able to get lots of outfits and special heroic costumes suited to every fancy. 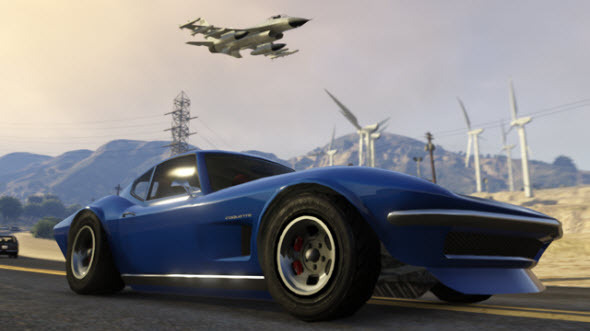 Besides it, the fresh GTA Online update will give you an opportunity to try your wings in 3 new VS modes - Acquire Targets, G-Rating and Air Force Zero - and in a lot of fresh races and jobs. But that’s not all. This pack is included into the update 1.16, which will bring many game’s fixes besides all the abovementioned items. The full list of changes is presented here. The another one news, which the majority of gamers won’t like for sure, concerns the release date of GTA 5 on PC and next-gen consoles. According to the numerous rumors, in a couple of weeks, the launch date of GTA 5 on PC, PS4, Xbox One may be postponed to 2015. As s James Jarvis, producer and editor at CVG, has said, such a turn of events is quite possible due to the fact that the autumn (on this period the game’s release is set) will begin in a couple of weeks, but neither the project’s release date nor the reviews from the leading portals have been presented. Anyway, only Rockstar’s employees can confirm or deny this information, so we just have to wait for the fresh details from them. And what do you think about the abovementioned information? Did you like the new GTA Online video and update? Your comments are always welcomed at the bottom of the page.